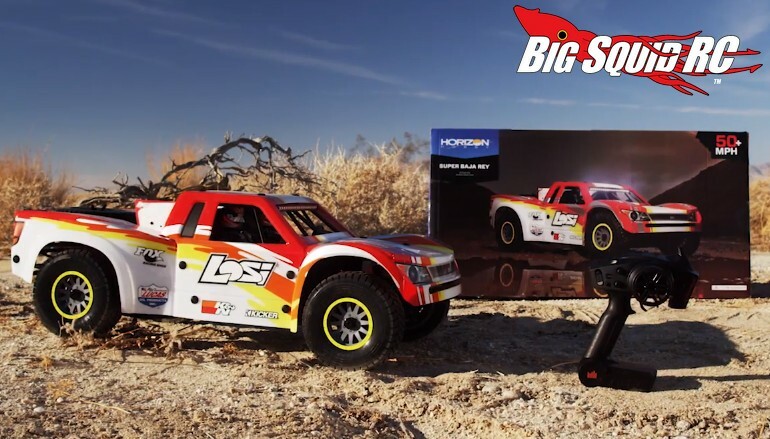 More Video – Losi Super Baja Rey « Big Squid RC – RC Car and Truck News, Reviews, Videos, and More! As many of you wait anxiously for your new 1/6 Losi Super Baja Rey to arrive, Horizon Hobby Europe has posted up a couple of action videos for your viewing pleasure. Check out both videos below for more action footage of the Super Baja Rey. Both videos are very professionally done and do a great job of showing off just how gnarly the biggest Baja Rey can be. Right now the Super Baja Rey is available for pre-order as it is expected to start shipping some time in February. We expect the first shipment to sell out, so now is the perfect time to get your name on the list for one off the first batch. Want more details? Hit up This Link over on the Horizon Hobby website. Read more Losi News right here on BigSquidRC.